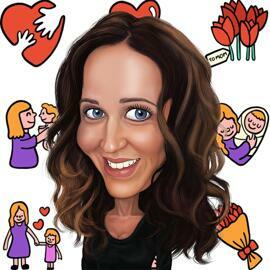 Order a splendid Caricature Drawing of any Woman, hand-drawn by our Photolamus experienced artist. 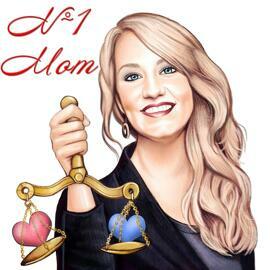 We can draw any number of people, pets and vehicles with her upon your wish and we can also technically visualize any of your ideas according to your caricature drawing. Caricature performance lasts for 4-6 days. 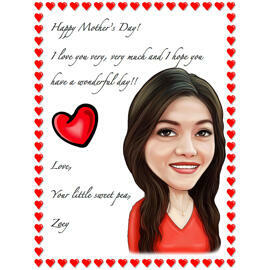 Our talented artist will turn submitted images into hand-painted caricature, based on your wishes and described requirements from field below. 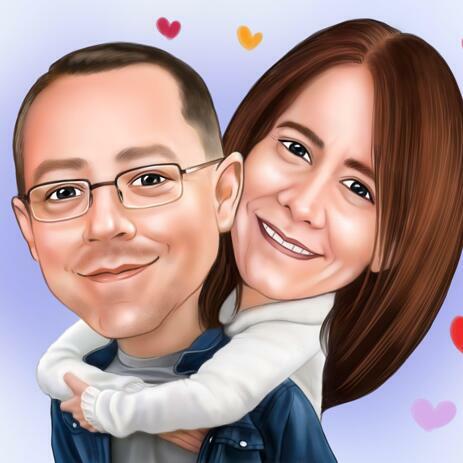 Such an excellent colored caricature will be an amazing Birthday or Valentine's Day gift. 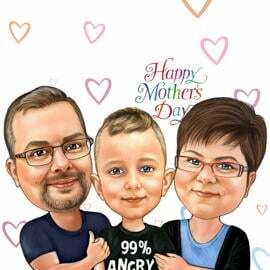 Preserve your pleasant family moments by personalized caricature drawing, which will be cherished forever. 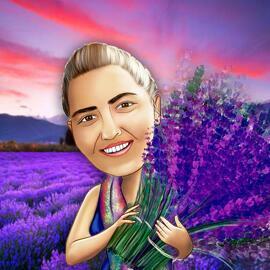 Your Colored Caricature Drawing will be delivered as a ready-to-be-printed, high resolution JPG file. Additional Delivery Options: Printed Caricature on Canvas, Photo Print or Original A4, A3 paper with worldwide shipping.